We’ve been lucky enough to drive some of the world’s best road trips, ranging from Route 66 through to Scotland’s North Coast 500. And we freely admit – we love a good road trip! The thrill of the open road, setting your own schedule, stopping and starting as you want – there are so many great reasons to take a road trip. In this post, we’re going to share some of our favourite road trips in the world, to give you some inspiration for your next adventure. 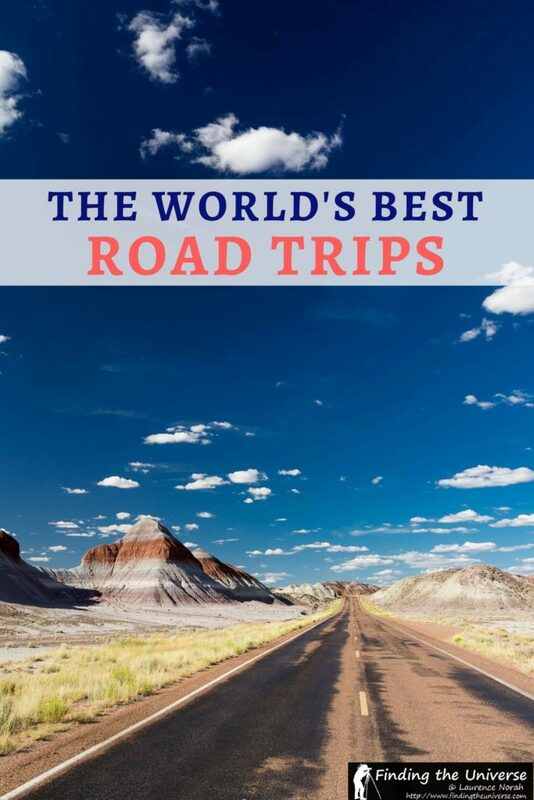 This features road trips we’ve done all around the world, and we’re sure they’re going to give you some wanderlust! Without further ado, let’s get started with what we think are some of the world’s best road trips. 5. Figure out the navigation. 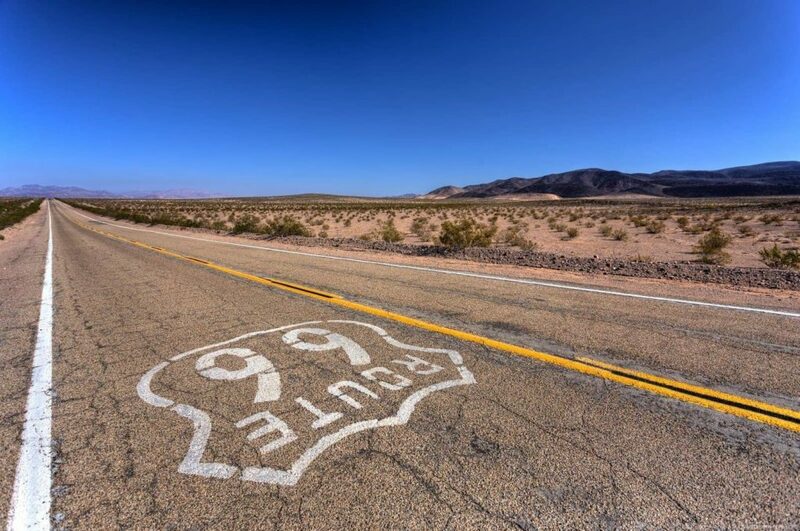 Route 66 is pretty much the definitive road trip. Spanning two thousand plus miles across eight states, this was the original road trip to take across the US, and it still holds that status today in the minds of many. It’s no surprise therefore that when we had the chance to drive the entirety of Route 66, Jess and I leapt at the opportunity. We tackled the entire route, sticking to it as closely as we could, from LA to Chicago. Driving Route 66 today is a blend of stunning landscapes, small town America, quirky roadside attractions, a window into the past, and a view on how our changing transport landscapes can really impact on the livelihoods of towns and businesses. Along the way there’s everything from derelict windswept towns to interesting museums to diners that still look like they would have in their hey day. There’s a reason this is often regarded as the best road trip in the world, and I urge anyone with the chance to drive it to do so. 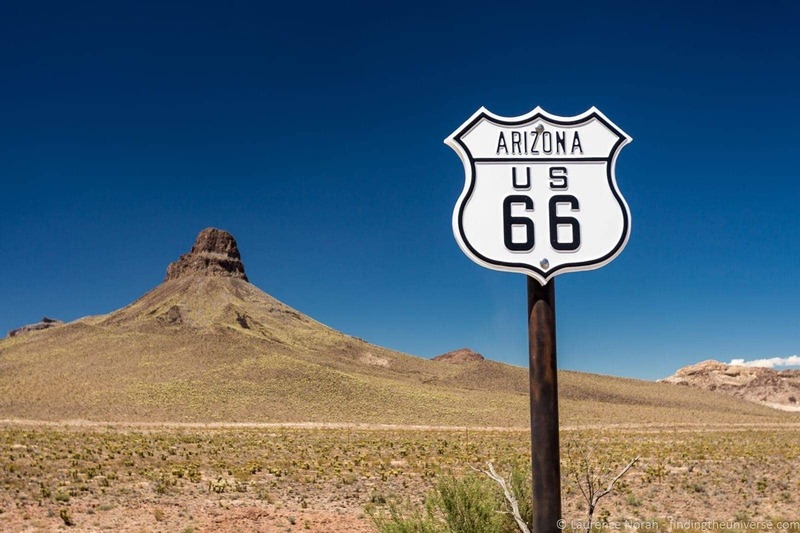 If you’re thinking of driving the route, check out Jess’s post on planning the perfect Route 66 trip to get you started, as well as our detailed 1 week and 2 week Route 66 road trip itineraries. You can also see photo highlights from all eight states in this photos series of Route 66 states. This drive made it into the top five of UK traveller’s wishlists for road trips they wanted to do, and I can definitely see why – I enjoyed it so much the first time I drove it that I did it twice more! 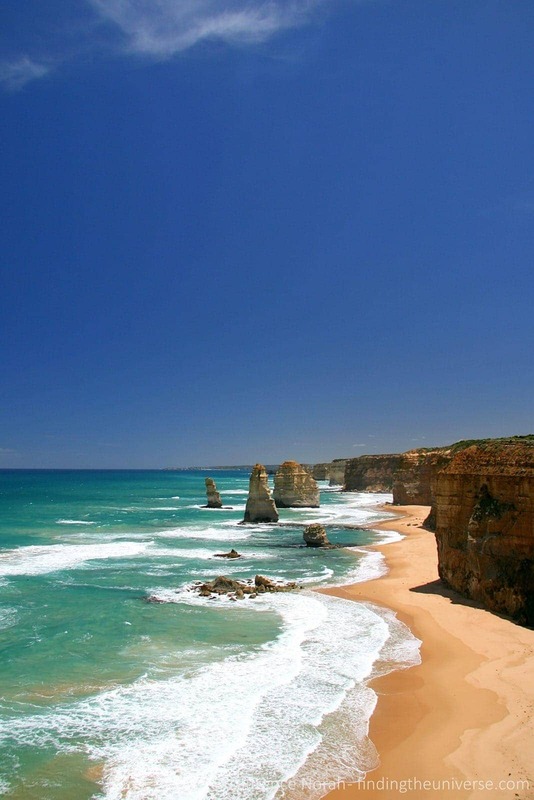 For those of you not familiar with this road trip, it’s a stretch of road in the state of Victoria, that runs along the south coast of the state from Melbourne in a westerly direction for around 150 miles. There’s a lot to see along the way, from beaches, to rainforest, to spectacular rock formations. It’s not a particularly long trip, and can be done in a few days easily, but is definitely worth adding to your list if you’re in this part of the world. 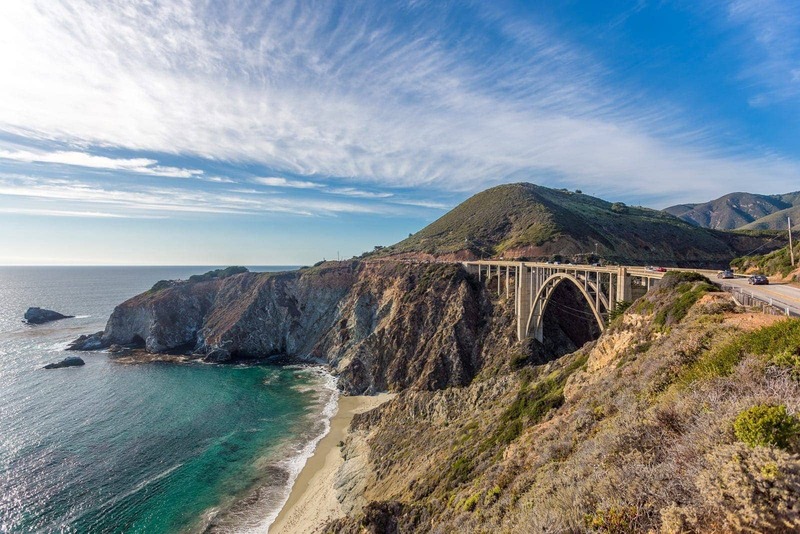 If you don’t have time to tackle a huge road trip like Route 66, but still want a fantastic road trip with gorgeous scenery as well as lots of little towns to explore along the way, then the stretch of coastal highway running from San Francisco through to Los Angeles has you covered. This is the starting point of our suggested two week California itinerary because it’s the perfect way to get introduced to some of wonder that this state has on offer, from giant redwoods, to waterfalls that crash on the beach, to little towns filled with boutique shops and sea food restaurants. If you’re planning a trip on this road, check our Jess’s detailed guide to driving the Pacific Coast Highway, which covers everything you need to know. We’ve been loving exploring Scotland since we based ourselves here in 2016, and hopping into a car and heading up into the highlands is definitely one of our favourite ways to explore this country. 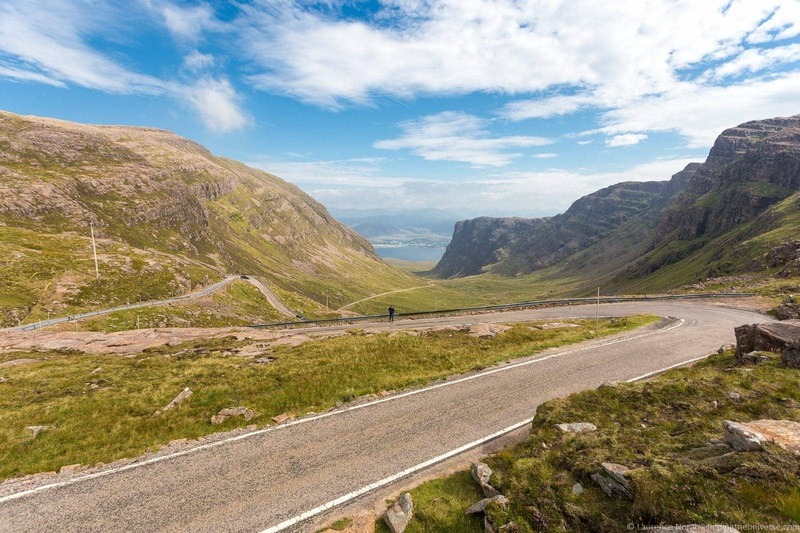 From the magnificent drive through Glencoe, through to the unbelievable landscapes that are the Isle of Skye – there’s definitely no shortage of scenic places to enjoy a road trip. Perhaps the best way to enjoy Scotland is on the North Coast 500 – a 500 mile long road trip that takes in some of the best coastal scenery that Scotland has to offer. This driving route starts in Inverness and loops around the north coast. Along the way you’ll discover everything from Iron Age buildings through to white sandy beaches, perfect lochs, stunning mountains and winding roads. If this route interests you, check out our guide to planning a North Coast 500 trip to get you started. 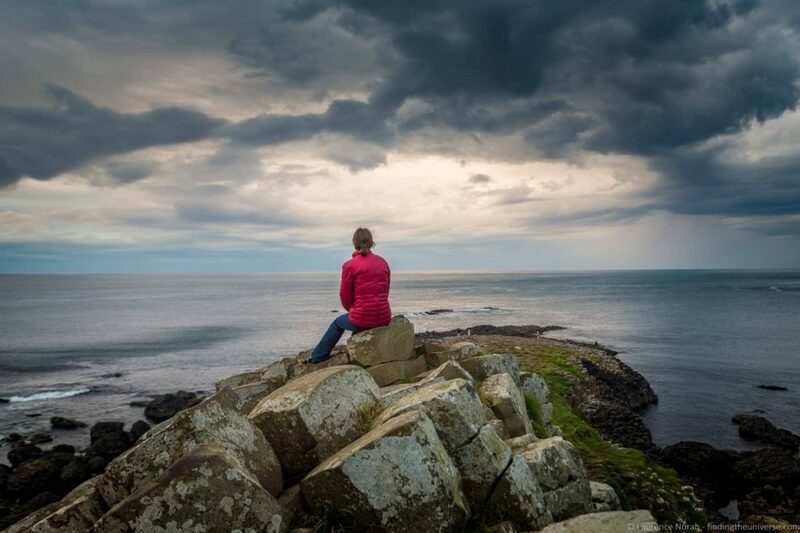 We also have a 7 day North Coast 500 camping itinerary, a guide to the best hotels along the North Coast 500, and some reasons to drive the North Coast 500 for inspiration! Whilst pretty much all of New Zealand is a road trippers dream come true, I’d argue that the west coast of the south island, and in particular, the drive to Milford Sound, features some of the best scenery in the country. On the west coast you’ll encounter glaciers, beaches and rain forests, in a country that is so scenic that it managed to stand in for Middle Earth. And the 75 mile drive from Te Anau into Milford Sound along Milford Road (State Highway 94) is without doubt the highlight. This winding road takes you into Fiordland National Park, a UNESCO world heritage listed site which is also the largest national park in New Zealand. It passes highlights including the Mirror Lakes and The Chasm, but really, it’s the epic mountainous scenery here that makes the drive so special. 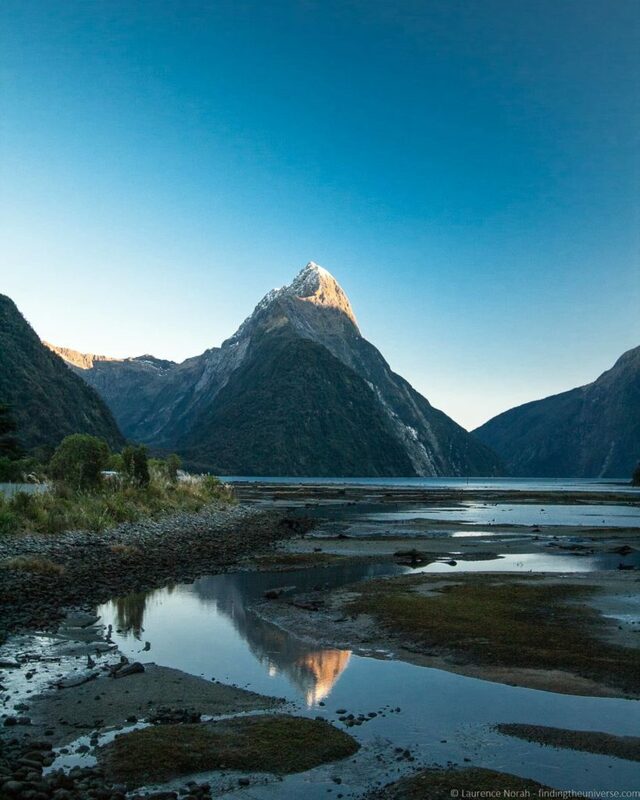 The final destination of the Milford Road is Milford Sound itself, a beautiful fjord that is home to Mitre Peak, a spectacular mountain that rises a straight mile straight up out of the water. This is best viewed by taking a boat tour of Milford Sound, and you can read more on our experience of visiting Milford Sound here. The majority of Australia is taken up with vast expanses of wilderness, making it ideal for a road trip that truly takes you away from it all. I’d suggest that one of the best road trips in Australia is the drive up through the “Red Center”, from Adelaide in the south up to Darwin in the north. 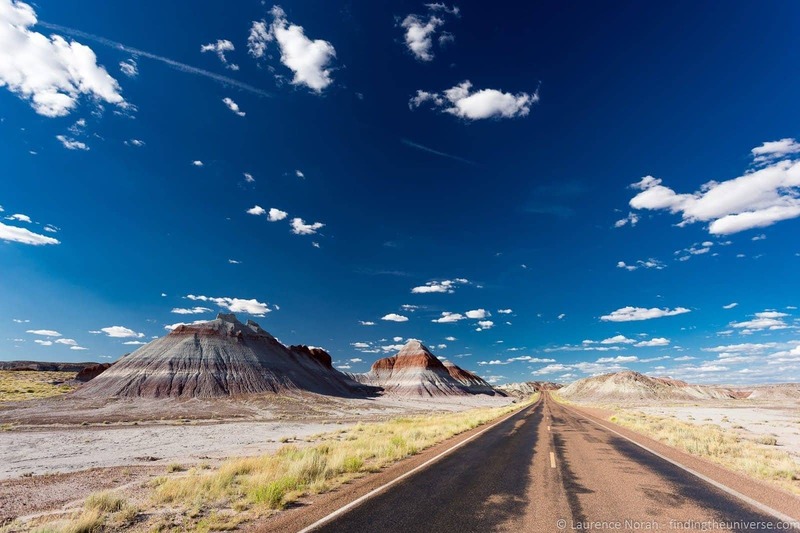 This drive, which is almost 2,000 miles in length, will truly let you appreciate the vastness of this incredible country. There are multiple highlights along the way. These include Coober Pedy, an opal mining town where many of the inhabitants live underground, and the Devils Marbles, a series of boulders that are so-called because they look like a giant game of marbles. 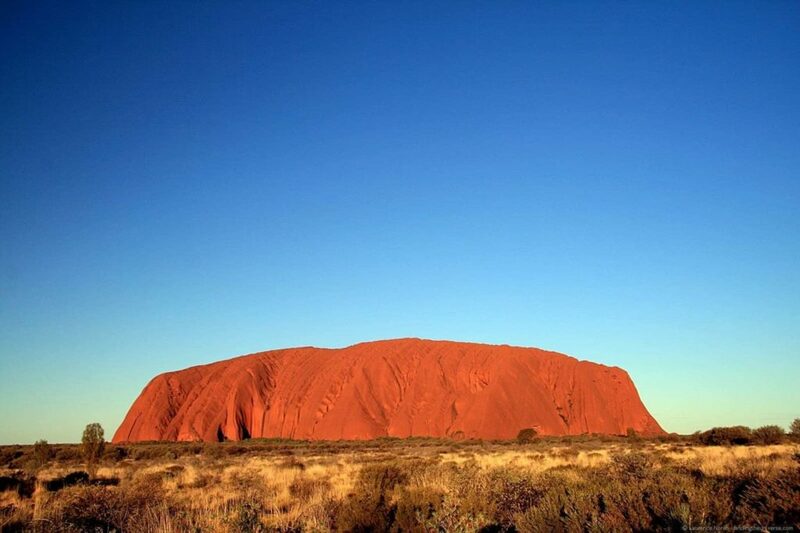 Of course, one of the big attractions of this road trip is Uluru, the gigantic rock in the center of Australia which makes for a spectacular location to watch the sunset. Nearby Kings Canyon is also definitely worth the visit. If this road trip sounds like fun to you, check out our guide to driving through the Red Center, as part of our series of articles on Australia. 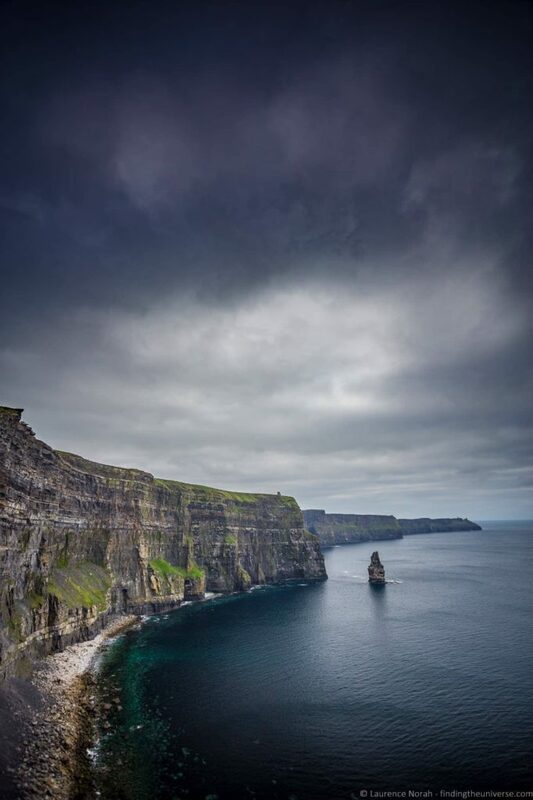 Ireland’s Wild Atlantic Way is a spectacular driving route that stretches for over 1,600 miles along Ireland’s west coast, from Malin Head in the north, to Kinsale in the south. This is a truly epic driving route that you could take weeks to fully complete. It’s home to over 1,000 attractions, ranging from castles, to stunning landscapes, to old churches, towns, villages and more. If you don’t have weeks though, don’t worry, you can always tackle shorter sections of the route. The route is broken down into five sections, with each section offering at least a week’s worth of attractions. Of course, if you have plenty of time, then taking on the whole adventure will certainly be a memorable experience. We suggest a minimum of two weeks for the whole route, but you’ll need to spend 3 to 4 weeks if you want to take your time to take it all in. Iceland has become hugely popular as a travellers destination, and one of the more popular activities in Iceland is to take a road trip around the ring road. This is an 800+ mile route that circles the entire country, and is home to some of the most spectacular natural attractions in Iceland, from massive waterfalls to volcanic landscapes to black sand beaches. There’s also the opportunity to spot wildlife, including whales and puffins, try the local food, learn about Icelandic culture and of course, go swimming in spectacular geothermal waters. 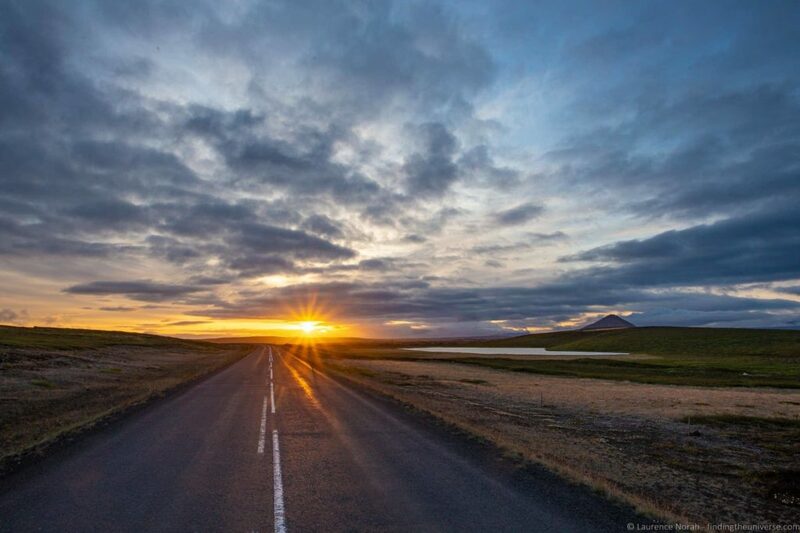 We’d suggest a minimum of 8 days to drive Iceland’s ring road, although it took us closer to three weeks on a recent trip to the country, as we added in a great many detours. Whilst many of the attractions are on the route, there are lots of notable places to visit in Iceland that are a little way off the main ring road, so taking a little bit longer is definitely going to be rewarding. One thing to note – driving the ring road in winter can be quite challenging, as winter conditions can result in closures and a generally difficult driving experience. 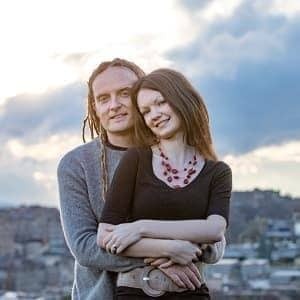 Instead, you might want to check out our 5 day Iceland itinerary and our 7 day Iceland itinerary for alternative options which are perfect year round. For more on travelling in Iceland, check out our guide to planning a trip to Iceland, as well as our tips for driving in Iceland. We’ll have a detailed ring road itinerary soon! The ninth road trip on our list was another of our favourite road trips in the USA. Whilst this doesn’t follow a definite route like Route 66, this road trip takes you through some of the southern states of the USA. 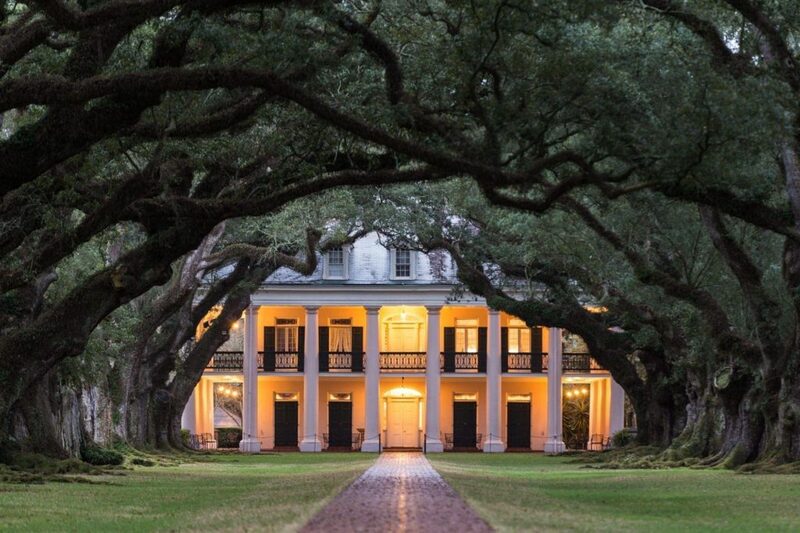 Here you’ll discover beautiful old plantation homes, learn about both the American Civil War and the American Civil Rights movement, and eat a great deal of incredible food. Another highlight of this region is the warmth of the people – southern hospitality is famous throughout the USA, and on our five week road trip through this area (finishing with Mardi Gras in New Orleans), we certainly found lots of friendly folk. Whilst the route is up to you, our suggestion would be to allow 2 to 3 weeks, with a starting point in Charleston, South Carolina, and finishing in New Orleans, Louisiana. On the way you’ll pass through four states, and cities including Savannah, Atlanta, Birmingham, Montgomery, Mobile, Baton Rouge, and New Orleans. The last stretch of the trip, we recommend following the River Road, and you can see our comprehensive guide to Louisiana plantations along the River Road on the stretch between Baton Route and New Orleans. For more details and ideas, check out our detailed Deep South Road Trip itinerary, which has all the information you need to plan your own trip. Last, but by no means least on our list of some of the world’s best road trips is the beautiful Causeway Coastal Route in Northern Ireland. This is a driving route which follows the coastline from Belfast to Londonderry, taking in incredible sights along the way, including the stunning Giant’s Causeway – a UNESCO world heritage listed location. From old castles to cute villages, from history to golf, from natural geographical wonders to wildlife, there’s something along this route for everyone. Game of Thrones fans in particular will love this route, as many of the filming locations for the show were in Northern Ireland. Check out our guide to visiting the Dark Hedges as a starting point. We’ve taken a lot of epic road trips, from year long trips around Australia through to shorter road trips lasting only a couple of days. All our experiences have taught us a lot, and so we want to share with you a few tips to help make your road trip even more awesome. Having an idea of your itinerary, even at a high level, will make sure you get to see everything you want to see on your trip. It doesn’t have to be a super detailed plan, but having at least an idea of where you’ll be stopping each night will make the overall trip go more smoothly. It’s always worth building in a little bit of extra time if you can to ensure you can see some of the hidden attractions along the route. These often turn out to be the most memorable parts of a road trip! If you’re driving in a foreign country, it’s essential that the driver reads up on local laws so as to be sure you don’t fall foul of the law. A hefty driving fine can really put a dampener on a road trip! Depending on where you are coming from, you may also need an international driving license to be able to drive here. No road trip is complete without a road trip soundtrack! Whilst we do like listening to local radio stations, sometimes you’ll want to put on your own tunes, and planning ahead with a road trip playlist can make the trip more fun. When we drove Route 66 for example, I put together a themed road trip with songs about each of the eight states we drove through! You definitely don’t want to spend your road trip arguing over directions or getting lost. We’d suggest planning ahead with how you’re going to manage directions, either using a GPS device, or an actual paper road map. Don’t rely on having data on your phone – ensure you have an offline set of maps that provides routing even when you have no signal. One thing we like about road trips is that we have a whole car to play with when it comes to taking gear with us, giving us a bit more flexibility. That said, make sure you pack for the trip – don’t just throw everything into your trunk! Look at what the weather is likely to be on the trip, and pack based on the activities you are likely to be doing, as well as how often you will have access to laundry along the way. If you’re travelling a popular route, or at a busy time of year, you will likely want to book in advance for your trip. For example, for the North Coast 500 road trip, we recommend booking in advance at least three months before your trip if you’re planning on travelling over the summer. Also be aware of events along your route – if you’re driving Route 66 for example, the Albuquerque Balloon Fiesta in New Mexico results in lodging being both very expensive and booked out for a week in October. We have a number of favorite websites we use for booking everything from accommodation to flights, including Booking.com and AirBnB. Check out our Travel Resources page for lots more ideas. If you’re travelling as group, or even just as a couple, make sure that when you plan your road trip, you take everyone’s need and interests into account, not just yours. This will mean everyone will be happier, and result in less chance of friction during the trip! A road trip is an awesome experience, but that doesn’t mean things can’t go wrong. Always check local road conditions and any travel warnings, pack any appropriate emergency supplies (especially if you’re travelling in remote areas), be sure someone reliable knows your travel plans, be sure to have travel insurance, and have a plan for calling emergency help if it comes to it. We’ve written a lot of content about road trips as these tend to be some of our favourite ways to travel. If you’re planning your own road trip somewhere in the world, we think you’ll find the following useful. A guide to driving on single track roads which you may encounter if driving in more rural parts of a country such as Ireland, Iceland, or Scotland. And those were some of my favourite road trips in the world! Have you got a favourite road trip I missed off this list? Already done one of these road trips? Have a question about planning one of these road trips? Let us know about it in the comments below! Don’t forget about two South American classics: Chilean Carretera Austral, into its southern ice fields, lakes, forests and glaciers, more than a match to the West Coast & Milford Sound, in New Zealand. And the other one is Argentina’s Ruta 40, which runs over 5,200 km from the Strait of Magellan to the Puna highlands in the north, along the Andes, It has the highest mountain pass on a National Highway at 4,895 meters (16060 ft) it also goes through the Patagonian forests.